We are really proud of our team and the work they do. 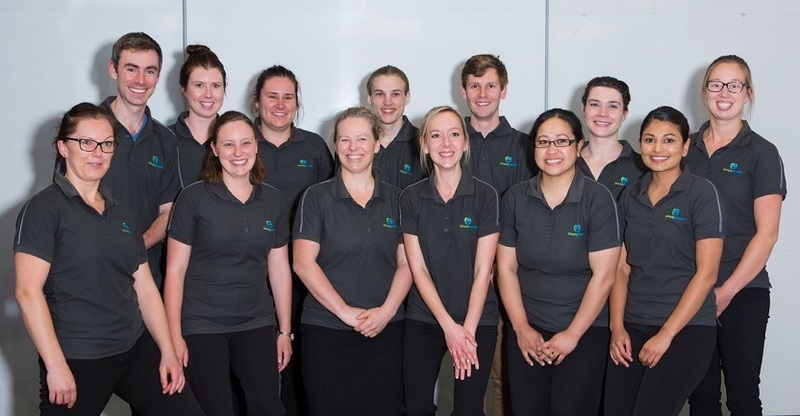 They are all community-minded professionals who are passionate about using their combined skills to provide a positive, valuable and prevention focused dental experience for YOU. Come in and meet them. We see our work as a fantastic opportunity to provide easy, comfortable, and affordable quality dental care that works. Our main job is to support and encourage you to enjoy a healthy mouth and to avoid dental disease for your entire life! We love Wellington and dentistry, and we especially love providing great dental care to the great people of Wellington. We offer a full range of dental care services at a competitive price so you get the best without having to pay the top price for it. To achieve the best for our clients, it is not enough to be a ‘good dentist’. It is vital to embrace a team approach to care. Every member of our team is an essential piece – if one part is not allowed to achieve its potential, it will affect the performance of the entire machine. Therefore, as a team we strive for excellence. As a clinician, my main role is to provide quality and exceptional client experiences that align with our values and Fish philosophy to achieve our vision, using our mission to get us there. I want to empower each client giving them the motivation and tools to look after themselves and those around them, by providing them with the type of experience that supersedes expectation. My role at Simply Dental is to lead, empower, and inspire; I personally center my role on who I am doing it for, our clients and my team members. Leading an empowered team with a high-performance mindset optimises client care and their health and wellbeing potential. My role is focused around ensuring the business functions are well managed and our clients and team are supported. I started on reception, then took on the role of Practice Manager, post maternity in leave started my current role in 2016. I do not believe that I would be at this level in the business without the culture of Simply Dental being a goal driven, high performance team environment; it has made me strive to better myself professionally and personally. I am responsible for the planning and development of business functions and systems, and day to day operations. I provide guidance, support, and leadership to the team in their mission on the front line to empower clients and create a positive and prevention focused dental care paradigm. A strong passion of mine is to support each of my team mates to optimise their own potential both professionally and personally, so they in turn can help clients optimise their health and wellbeing and minimise dental issues. My responsibilities focus on business improvements, growth and development as well as supporting our team in making sure our clients and community benefit from the dental care we provide. As a founding member I have had the privilege to help make a difference with thousands of people, as well as helping the business grow and develop. Our vision, mission and goals motivate me in my current role to empower our clients, community, and team mates, to make positive health choices and enjoy a happier and healthier life. I really enjoy what we do, who we do it for, and who I do it with. My absolute focus is providing our clients with great service and contributing to making the world a happier, healthier place. I get huge enjoyment from making clients visits a relaxing and enjoyable experience. Our work culture encourages personal growth and aids in me being confident in my role and helps us to stay focused on our core values and mission and vision. I have always had a passion for preventative healthcare which is one of the key focuses at Simply Dental. As an Oral Health Promoter I am able to contribute to the long-term dental care and oral health of our students and adult clients which I find so rewarding.